Every year the members of the Irish, Sound, Science and Technology Association (ISSTA) meet somewhere in Ireland to discuss their latest research, listen to lots of intriguing new music, attend workshops on anything from circuit bending to DJ tactics, and generally have a good time. It's not a conference, it's a convocation, a word that better expresses the plurality of activities on offer. This year the ISSTA Convocation is 28-29 August at the Dún Laoghaire Institute of Art and Design, just down the tracks from Dublin. Wednesday afternoon I will be delivering the paper "Radio Before and After Radio Waves", which draws on my experience in radiophonics in Canada. I want to define what practical qualities make radio special, but also which topological and network aspects allow us to speak of radio as a concept, a powerful spark to imaginative artistic practice. Three years ago I wrote an introductory article on choosing an SD card, with the emphasis on camera usage. Times have changed and so have applications. 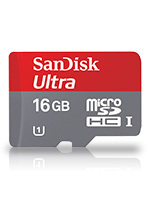 This time around, I want to focus on finding the best microSD memory card for your smart phone. Naturally you will want to examine brand name reliability, price, and performance. To determine which is the fastest card for your money you might read online reviews, manufacturers specifications, and examine closely the strange nomenclature ("Class10", "UHS-1", "SDXC") surrounding memory cards. But this is misleading. Everything you know about memory card performance is wrong.